The Benetton B196 was the car with which the Benetton team competed in the 1996 Formula One season. It was driven by the experienced pairing of Jean Alesi and Gerhard Berger, who both moved from Ferrari to replace departing 1994 and 1995 champion Michael Schumacher and his number two, Johnny Herbert. 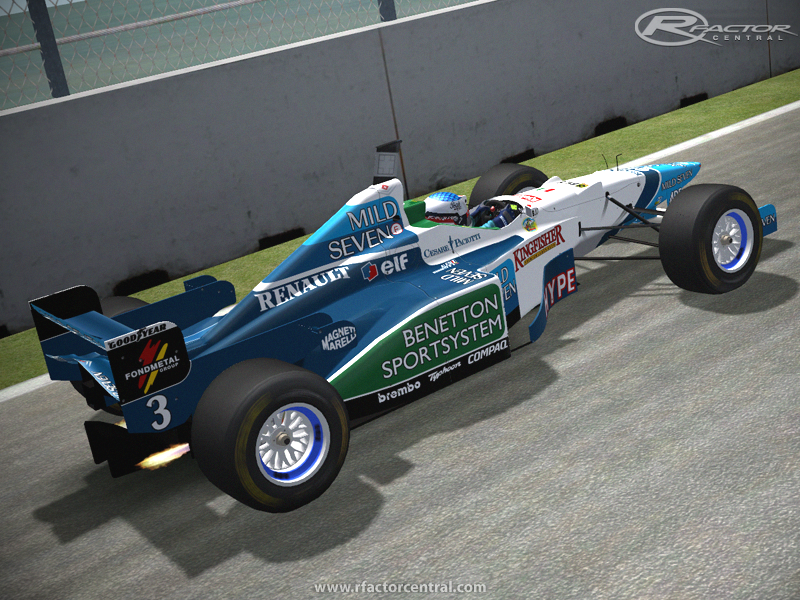 There are currently no setups for F1 Historic Benetton B196. Add a Setup. 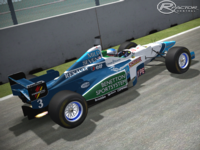 There are currently no car skins available for F1 Historic Benetton B196. If you are a painter you can share skins for this mod via the Car Skins area. Visit the Spray Booth for painting tips & tricks. I'm not officially a member of the FVRV8 Crew, despite I always made some skin packs for them in the past, like a Fujitsu Skin Pack in 2010. It's been my hobby since 2008 and I like it very much. Links are dead. Anyone can post the basemod link ? hi, creators wcp series, I really admire your work and your car in my opinion are very well done ..... congratulations ..! i'm trying to download the base model and the car but the download link is not working. i'm also trying to down load the ferrari the mclaren and the ligier but there not working either. the only car model that does work is the lotus but i cant get the base model to get it to work in the game. this is shame because i really wanted to try these models out because they look amazing. it's OK,it's my false,i must download the basemode v1.0 first,now it work fine,thank you again. Here is link: http://www.wcp-series.com/f1-historic/ then click on: "Download latest version from here"); it worked for me. MEGA isnt for everyone, i'm not a fan of it, much rather the traditional methods and places of downloading.......not a fan of clicking on 5 or 6 links to get to the mod link either. Some mods i´m interested are downloadable just on him, but some people are criticizing the site. Is that something wrong with mega ?? I´m curious. Why "no mega.nz" ?? Some mods i´m interested are downloadable just on him, but some people are criticizing the site. I want to download it, but with this negative responses about the mirror site, I´m not secure of mega.nz.